This is the firth year that I have done the Eurovision blog – and I hope that once again I’ve added something to your Eurovision journey (and party!). Whilst on my overseas busman’s holiday in Belgrade, Moscow, Oslo and Düsseldorf I have signed off in advance of the Grand Final by sending Euro-love to my best-est Eurovision buddy, Rachel Rolfe, with whom I have spent 12 consecutive years at my place, or at the Rose Theatre on two occasions, watching the Contest. In 1999 my best mate Adam got married on the day of the Contest – how very dare he! – and on that occasion Rachel and I initiated a media blackout, and watched if the following day, with our friend Coral Black (former colleague at EHU). Funny story is that in 2000 Rachel attended my Eurovision party with her new boyfriend (now husband) Richard, and Coral get him completed rat-faced! She can do that, some of you might remember! Anyway, this year I don’t have to sign-off with greetings to Rachel, as she has travelled to sunny Southport with her family to oversee the proceedings with me. And that’s it – just me and them… low key and intimate, you might say. I wanted a year at home, and that’s what I’m getting! We’ll have a ball, and it’s great to have the Swiss Family Rolfe here for the weekend. I am, in a reverse of fortune, missing my euro-buddies with whom I have enjoyed the last four years in the host country. Most of all I miss gin and fanta (no really, it’s gorg!) and paprika crisps with Karen, Paul being simultaneously giddy and a bit strung-out (remember he’s there for the whole fortnight so anyone can be forgiven for being “tired and emotional” in the euro-bubble) and perhaps (Professor) Brian (Singleton) most of all. Brian has been my wing-man with whom I’ve cheered and jeered the parade of songs. He introduced me how to register one’s lack of interest in a performance when the rest of the arena might we wigging-out: the world’s smallest applause… with your little fingers! Great fun! No change at the top – and if this is how it stays then Sweden will have led the bookies since March. What a result it will be! Soon it will be time to find out – BBC ONE/BBC HD at 8pm (or via www.eurovision.tv). You’ve got to love the fact that the host theme for Eurovision this year is “Light Your Fire” – how bloomin’ hot is it in the UK today! So here we are – the final of the Eurovision Song Contest 2012! The weather is as hot as it is in Baku, and I think that tonight is one of the best finals I have ever seen. It must be the heat, but even Albania is growing on me! It’s going to be fascinating to see what wins – and I think it might be a close run Contest this year. I am hoping that Russia don’t win, and I would burst if it was Sweden. It could also very easily be Romania, Italy, Norway – and with a strong finish – Ireland, Serbia, Ukraine and Moldova will all get a bounce from coming at the end of the draw. So here goes – my kiss of death that’s not on a napkin goes to (te dum te dum…) SWEDEN! Go Loreen! And as the Eurovision god’s have determined I drew Sweden in my own sweepstake (in front of witnesses!) so even more reasons to get excited later tonight if we are off to Stockholm next year. Here then is the fantastic line-up of entries for the Grand Final. I’ll pop back later before the Contest with the latest news on the betting odds and the final buzz from Baku. Have you got The Hump? Last night Europe (including the UK) voted the final 10 songs through to the final of the 2012 Eurovision Song Contest. I was quite surprised that I got 8 out of 10 once again – more than I would have expected! Gutted that Slovenia didn’t get through but relieved that Sweden did. The only songs that have not yet had special mention on the blog this year are the songs from the “Big 5” (France, Germany, Italy, Spain and the United Kingdom) and the host country, Azerbaijan. The Big 5 are the main contributors to the European Broadcasting Union, and as such they get direct passage to the final – media imperialism lives! Many fans and commentators see the efforts of the Big 5 this year as a collective raising of their game – occasionally they are accused of not investing much effort in terms of quality control in the songs that they send to compete. I guess if we reflect on the merits of the UK entries over recent years they might have a point! This was a grower for me, but I really like it now. Since they entered for the first time in 2008 Azerbaijan has had an excellent success rate, sending well-crafted songs that connect well with the pan-European television audience. Part of their success is collaborating with international songwriters. Last year it was really the Swedes that won it for Azerbaijan – the song was written by Swedish guys, and the backing singer were Swedish too! The song looks like it’s struggling in the betting odds, but with the home town advantage tomorrow night I’m sure it’ll do well – perhaps more so with the juries (comprising five music industry professionals) than the televoters (that’s you and me). This was one of the first songs that I heard this year – and it was an immediate hit for me. I should advise you to listen to the song again without watching the video – it’s as mad as a box of frogs, isn’t it! Apparently when we see Angun perform on Saturday night she will be surrounded by bare-chested men. Talk about knowing your audience! After a surprise second place last year Italy return with any Amy Winehouse-esque track. I can see why it’s third favourite – and another song that will do well with both the international juries and the televoters. Top 10 for sure, probably Top 5, and it wouldn’t surprise me if it did win. Other first place winners include “Ding Dinge Dong” for The Netherlands in 1975 and “Diggi-Loo Diggie-Lay “for Sweden in 1984. Perhaps we should have called our entry “Love Will Set You Diggi-Loo”? Anyway, I really like the song. 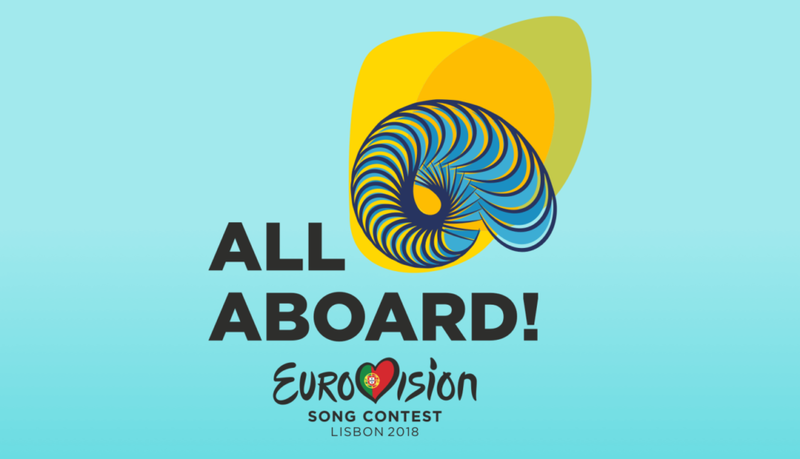 From the first listen in the office with Deb and Jules, when we all had a “euro-tingle”, to today I think it’s a beautiful song – well composed and arranged – simplicity in a sea of Eurovision giddiness can’t be a bad thing. Let’s hope that the juries love it and that the televoters don’t forget it in the mix by the end of the night. It will be a good result for us to finish on the left side of the scoreboard, a great result to finish Top 10. If Engelbert is as “big in Eastern Europe” as the press junkets say then we’ll be in with a shout of the Hump finishing well. I’m a bit delayed in posting the “napkin of death” predictions – had a mad day marking (deadline tomorrow) and just about to head for food and drink – well, it is the second semi-final, drink will be needed! I had a quick skype chat with Dr Eurovision (he’ll be on at the end of the broadcast on BBC Three, so keep an eye out), Karen and Brian – but there was no time for us to collectively share our predictions for tonight – we’re all chocka. That said, we’ll get our Eurovision groove on again for our final predications for the, erm, final on Saturday. So, I’m not confident with this slection, but let’s see what happens. So, it’s an improving picture for the UK (hooray). I have everything crossed for Loreen from Sweden – let’s see if she’s still the favorite later tonight. Enjoy the show! Tonight it’s the second semi-final of ESC2012. How the time flies! Eurovision loves a returning competitor, and Zeljko Joksimovic represented Serbia in 2004. Not only that, he composed Serbia’s entry when they hosted the Contest back in 2008 – the same year that he also co-hosted the show. He’s a very talented musician, and is well loved by eurofans. This is a certainty to get through – and will probably be top five in the final – indeed, challenging for the title. Great song. I don’t want to suggest that all songs in the Eurovision should be sung in English, but having said that I’ve been listening to the English language version of the Macedonian song since March, and it’s a surprise that they have not chosen to do that version tonight. Pop music can have more impact in an Anglophone form, and I hope that this gets through because I like the track and the vibe. Great song – catchy vibe. She looks as mad as a box of frogs, so I hope that people don’t mistake what looks like quite goofy staging for a goofy sounding song. Hope it goes through. This is similar in sound to Hungary in the first semi-final – and that got through. Malta are hit and miss in the Contest and other than their ‘old reliable’ performer, Chiara (who has represented them three times), they struggle to make the cut. This might be on my napkin of death – it chugs along quite nicely – and he look a bit like Shane Ward (the X-Factor winner), which might help him! Aah, don’t you feel like a glass of sangria or something!? Nice vibe – will get votes from Spain if they are voting tonight. Portugal have upped their game recently in terms of qualifying (apart from the awful song they sent last year – an insult to any music lover, which didn’t qualify!) but I’m not sure how this will do. It’ll come down to the staging tonight. This is one of my pre-Contest favourites. It’s a bit of a disappointment to have to report that the early rehearsal footage that I saw was a rather sketchy. Mind you, as eurofans will tell you, Ukraine seem to be able to polish the proverbial and turn it in euro-gold. For me what’s most disappointing was that the lead singer is surrounded by dancers and she is not being supported by strong backing singer, as she is on the version above. I thought this was a sure-fire qualifier, but let’s see how much they have tweaked the performance tonight. When I listen to this song I think it’s great – it’s anthemic and actually reminds me of the Serbian winning song “Molitva” from 2007. What a shame that tonight you will see the first major frock horror of the Contest. She looks like the bride of Frankenstein! Hopefully the television viewers will see though the dress (you know what I mean – not like that!) and appreciate this strong song. Another solid entry from Croatia. It comes in the middle of the draw, which might not help, and coming off the back of Slovenia and ahead of the hot favourite might sink the song? You know I have a Swedish flag in my kitchen. No, really! My friends and my Media, Music and Sound students know how much I love schlager music (basically Scandinavian/Germanic pop music), and I watch the Swedish Melodifestivalen every year over the six weeks it is on (via t’interweb) to see what Sweden select (the footage above is of Loreen performing at the Melodifestivalen). I love, l-o-v-e, LOVE this song and I’ll burst with giddiness if it wins. Early rehearsal footage has been a bit sketchy. But hopefully as the snow falls from the arena roof tonight you’ll see why it’s so good. There is simplicity in the staging (a refreshing change in Eurovision) and the slightly (once again) retro vibe will hopefully be enough to grab the eye and the ear. Go Loreen! It’s sometimes dangerous to name a Eurovision song in a particular way. Back in 2000 the UK entry, performed by Nikki French was called “Don’t Play That Song Again” and in response Europe responded by not voting for it, and it sank without trace (although not the nul points that followed for us in 2003). I think that “I’m A Joker” does exactly what it says on the tin. Dr Eurovision thinks this is a certainty to go through. I don’t! Whose right – you decide! A return to the more ethnic flavourings in the Turkish entry this year. There was surprise last year when they didn’t qualify for the final – but they had begun sending the same song every year, so it’s good that there’s a change of direction this year. I hope the staging doesn’t sink it, but it should go through with the help of the Turkish diaspora. This my guilty pleasure of the Contest. It’s like a big hair rock-out! Good effort – although what’s all that screeching about. Will it go through? Back in March I said to Neill Cockwill that he should put bets on Ukraine, Romania and Norway. At the time they all had long odds (60-1 and over). They have all since narrowed, and I think that after tonight Tooji will be in the final with small odds. Great song and well performed. Pretty boys have begun to do very well at Eurovision: Eric Saade for Sweden last year cam third, and Alexander Rybak was the winning singer for Norway in 2009. There’s a female demographic for Eurovision these days, so it’s not only the gay fans who might appreciate Tooji this year. Surely guaranteed to go through? Bosnia have a good track record. On the first few listens this doesn’t seem as strong as last year, but I wouldn’t be surprised to see this in the final. A good position for this song, and with quite a memorable performance. It’s a good song – and helped by the change of pace. Perhaps it takes a little too long before the tempo changes, but overall it gets me singing along. So that’s the field for tonight. Later I will Skye with my chums in Baku to sort the napkin of death. In the meantime, what will be your final 10? So that’s the Eurovision Song Contest 2012 up and running! Not a bad night for me on the predictions/”napkin of death” front – I got eight out of the ten songs, so not bad. Mind you I think that the semi-final last night was actually easy to call. The one on Thursday night will be more challenging, with a more eclectic mix of songs than last night. I was pleasantly surprised that Hungary got through, but Albania bemused me! That’s what I love about this Contest – the subjectivity of the pan-European music taste will always deliver a few surprises. Watching the Contest at home for the first time in five years made a nice change – and I was not wishing I was there in Baku, so I‘ve made the right decision to sit this one out. I thought that the staging was great and it was well directed. The presenters need some work – no chemistry and rather stilted delivery. The BBC presenters (Scott and Sara) were dreadful – talking drivel throughout. The audience seemed strangely subdued – although let’s not forget that it starts at midnight local time. I think that the EBU need to mobilise the flag police (like they had in Moscow in 2009) to stop overzealous fans blocking the cameras with their flags (this wasn’t a problem the last couple of years at the stage was raised higher, and the camera run was set about the flags). I think the nicest touch of the event so far was how the lighting on the outside of the crystal arena changed to the colours of each nations flag as they were about to perform – very effective. Sweden have been the favourite since February (but that’s no guarantee!) and we’ll see them perform tomorrow night. The UK were fourth favourite last weekend, but have now plunged to 10th. Oh dear! Mind you, the Hump’s rehearsals have been rather sketchy so I can see why people aren’t betting on it. I’ve said for months that it wouldn’t surprise me to see Romania finish in the top three, and after making it to the final last night their odds have narrowed and they are now at a new high in the betting – 5th favourite. I thought Iceland was great last night (although male singer Jonsi did look slightly possessed – like some Hammer House of Horror vampire! ), so I’m surprised that they have drifted from 5th favourite to 14th. It’ll be interesting to see the impact of the second semi-final dress rehearsals today on the odds. As we look towards events in a few hours (20:00hrs GMT) I have been in touch with my euro-chums in Baku, and having deliberated I can now reveal what we think will make it to the Grand Final at the weekend. I must point out that they are four hours ahead of UK time and so a drink had already been taken, as they warmed-up for the evening ahead (lucky them!). Longtime readers of the blog will join me in welcoming back regular contributors Karen and Brian, joined as they are by Milija and Dave. So as you can see we all agree on seven countries: Greece, Romania, Switzerland, Cyprus, Russia, Moldova and Ireland. It will be interesting to see if the guys in Baku have the hometown advantage of having seen all the rehearsals and the dress rehearsals – they might know better than you are I what is working on stage. We’ll all see tonight when we see it on television how they all come across to the viewers at home. So as you can see we all agree on seven countries: Greece, Romania, Switzerland, Cyprus, Russia, Moldova and Ireland. It will be interesting to see if they guys in Baku have the hometown advantage of having seen all the rehearsals and the dress rehearsals – they might know better than you are I what is working on stage. We’ll all see tonight when we see it on television how they all come across to the viewers at home. I’ll go on to say that my reserve list is Finland and Israel (if that doesn’t sound like I’m edging my bets!). And Brian Singleton – enjoy the show from your OGAE fan seats. I hope the view is good, and don’t miss me too much this year – I’m with you in spirit! Hopefully I’ll be back as your wing-man next year! Today (Tuesday) sees the first of the two semi-finals for Eurovision 2012. Remember friends, the Eurovision is a marathon and not a sprint, and we’ll be busy until Saturday night! More than any year since Moscow hosted the Eurovision back in 2009 there is a fair amount of media coverage of human rights issues and social concerns for Azeri citizens. There was a detailed piece on Channel 4 news last night, and then there was a Panorama report on the BBC. It is ridiculous to say that the Eurovision is not political in some ways – how can you put all these countries in a room together, ask them to compete and then not expect long held and simmering tensions to occasionally surface. That said, and as the Executive Supervisor Jon Ola Sand and Engelbert Humperdinck both said when interviewed recently, the ESC must not engage in those discussions as part of the Contest – but good that the ESC has highlighted wider issues once again. Good to get Paul’s insight on all these issues whilst he is in Baku. As he says let’s hope that it all passes off peacefully and that we can enjoy the music. With that in mind here are the runners and riders for tonight’s semi-final. Who will dash to the Grand Final, and who will fall at the first? There are 18 countries in contention, but only 10 can progress to the final. Later today my euro-chums and I will be doing our “napkin of death”, as regular readers will have come to expect. The difference is that this year we are going very high-tech (separated as we are by many miles) and doing it via Skype. I know – I’ll be tweeting next! Being a bit of a geeky fan I have already selected my 10 qualifiers on what is, at the moment, my post-it note of death. I’ll bring you the scoop on that later in the day, so you can once again judge whether the supposed Eurovision “experts” know their Eurovision bacon. No, your eyes are not deceiving you – that is Eleftheria (the singer) performing in a shopping mall! Yes, the austerity measures really have taken hold in Greece! Word on the street is that she’s not the best live vocalist – but Greece has an impressive qualification record since the semi-finals, so how can this not go through? I like the melody of this one – but the lyrics are a bit naff. Any song that names checks Johnny Logan doesn’t exactly has it’s finger on the pulse of popular music. Nice but a bit dull. Hope the staging makes it more interesting. Several weeks ago I was in my office listening to the ESC songs when I got a call from Carol Poole. We were chatting way and were rudely interrupted by this song. It was funny, Carol said “what on earth is that racket”. That racket was the Albanian entry! I might be refreshing my drink to this one. A welcome change of pace. This song could well stand out because there isn’t anything else like it in this draw. It’s reminiscent of The Killers and might do well. This is a gentle and effective song. I’ve been listening to it a lot recently. The rehearsal footage has been solid and so I hope Iris does a good job tonight. Belgium qualified with a ballad last year, and this song might sneak through again. I have liked the vibe of this song since I first heard it. Finland have a sketchy qualification record since their stunning victory with Lordi back in 2006. I would like to see it go through, but with my strategic hat on I’m 50/50. It was a bit of a shock last year when returning champion Dana International returned to the ESC for the first time as a performer since her victory in Birmingham in 1998 (although she wrote the Israeli entry in 2009) and didn’t make it to the Grand Final. That said, the song wasn’t the best, but euro-sparkle alone should have carried her through. San Marino have competed since 2008. They are one of the new participant countries that are quite keen to win. I don’t think it’s their year. You might notice the slightly seedy tone to the lyrics – basically it’s about getting jiggy on social media! This is the best thing that Cyprus have done for years, and guaranteed 12 points from Greece in the Grand Final. I think it’ll get there. Good euro-pop that should delight the eye and the ear. Hats are back, b-a-c-k, BACK! Denmark have sent a couple of top 5 finishers in the last couple of years. This is well thought of in the betting odds. I’d be surprised if it didn’t get through, but there was shock aplenty when Sweden failed to make the final in 2010, and in some ways this song reminds me of that, if slightly more uptempo – is it memorable enough at this point in the draw? This wouldn’t be out of place on drive-time radio, or a “Dad Rocks” CD compilation. Not bad. I do not feel “down with the kids” on this one! I think my glass might need refreshing again. I think you might join me when this comes on! 10 out of 10 for effort, though. One of may favorites this year. When you see the staging tonight it might just kill it, but again – lots of effort and I would like to see it go through. And finally, 12 points from the United Kingdom goes to Jedward. Or Greece. I need to check if the UK are voting tonight or on Thursday. I like the song, but it’s not as strong as “Lipstick” last year. There is a water feature on stage tonight which looks like it’s been swiped from the Chelsea Flower Show. In fact, they wouldn’t have it as it’s too naff! I haven’t seen recent rehearsal footage, so I hope they ditched it. A good effort from Jedward – and their backing singers are earning their fee. Hope this goes through. And that’s it for semi-final 1. Work on your top 10 qualifiers over lunch, coffee, etc, and I’ll be back later with the inevitable “Napkin of Death”. Eurovision is back, b-a-c-k, BAKU! Hi friends, colleagues and euro-fans – it’s that time of the year again (can you believe it!) when otherwise sensible people get a bit giddy, rather partisan and obsessed with key changes and wardrobe malfunctions. Yes, the Eurovision Song Contest is back – and this year the euro-bubble has travelled to Baku in Azerbaijan. As you may have realised I am not travelling to the host country this year. Whilst I have enjoyed the last four Contests I always felt like a year at home, and so for this year at least you can share the build-up to the Contest with me from, erm, sunny Ormskirk by day and Southport by night! As you must surely be aware by now, Eurovision takes place this week, with the two semi-finals on Tuesday 22 May and Thursday 24 May (on BBC Three) followed by the Grand Final on Saturday 26 May (on BBC one/BBC HD). Even though I am not “your man in Baku” this year a few interested parties have been asking that I blog once again and set the scene – and so I’m happy to do that. Coming up we’ll take a look at the runners and riders, the frocks and the shocks, the musical highs and the musical lows that will follow this week. It really is a strong year for songs (luckily! ), and I think that any number of countries will be up there in the mix (Russia, Italy, Germany, Romania, Serbia). Regular readers of the blog will remember that I am rather a fan of Swedish entries and this year is no exception, and even better that they are the hot favorites this year – more on that later. It will be interesting to see how Engelbert Humperdinck does this year. Have the BBC lost the Eurovision plot, or is it an inspired move? Time will tell.